The US Air Force has deployed two of its most advanced military Global Hawk drones in their base in northern Japan. The purpose of unmanned vehicles is closely-guarded secret but their characteristics make them capable of spying on China and North Korea. US Global Hawk drones will remain on the Misawa Air Base, located some 590 kilometers northeast of Tokyo until October, when the typhoon season at the drones' home, Andersen Air Force Base, on the island of Guam in the western Pacific is over, commander of US Forces Japan, Lieutenant General Sam Angelella, told AP. The US commander refused to give any comments on the exact activities of the drones, saying only that the Global Hawk's "capabilities are well known." The drones have an operational altitude of up to 18.3 kilometers and can fly for more than 24 hours. From Japan, it can easily monitor areas on the Asian mainland, including the neighboring countries of North Korea and China. According to Angelella, the Northrop Grumman RQ-4 Global Hawk has proven itself to be one of the most reliable in the US Air Force. In September 2013, the vehicle covered at least 100,000 flight hours, three-quarters of which were performed in combat. 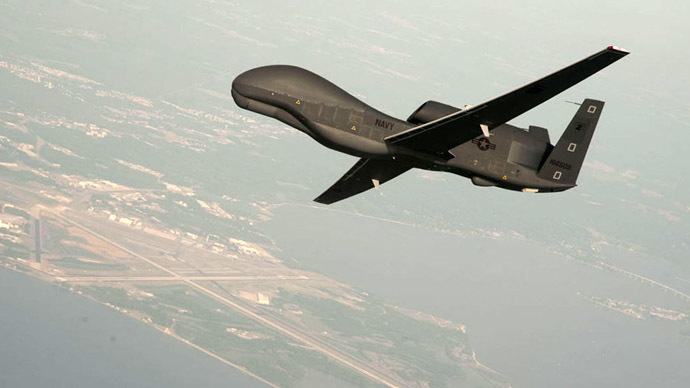 The US commander said Global Hawk drones have been used in humanitarian missions, including Japan's 2011 tsunami and the Philippines’ 2013 typhoon. They were also operating in missions in Iraq and Afghanistan. The first Global Hawk flew to Japan from its home base on May 24, while the second arrived in Misawa on Wednesday morning. The two vehicles are expected to start operating in the Asia-Pacific region in early June. “I’d like the US military to make relevant information public in the future and to make efforts to ensure safe flights and operations, ” Misawa Mayor Kazumasa Taneichi told the Yomiuri Shimbun newspaper, after the second US Global Hawk was deployed on the base. 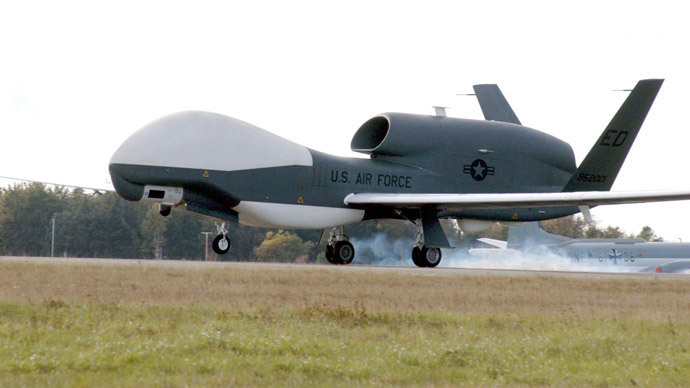 Japan’s government is now planning to buy three US Global Hawk drones, because deployment of these vehicles will help the country to familiarize itself with the aircraft. Meanwhile, the deployment of unmanned aerial vehicles (UAVs) or drones in the country has no clear regulation. The only existing guidelines on fixed-wing drones set by Japan’s UAV Association, state they can only fly up to 150 meters above the ground over unpopulated areas. In April, some local residents staged a demonstration in front of the Misawa Air Base against to the deployment of the US drones. 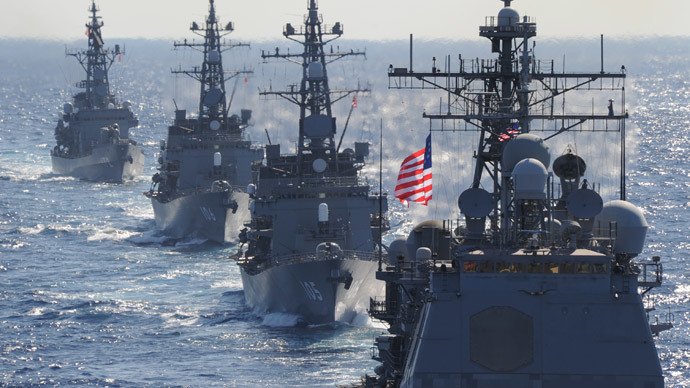 However, their protests are comparatively small in comparison with those launched on the southern Japanese island of Okinawa, which is home to more than half of the 47,000 American troops and their families. In February, several hundred people who felt unfairly burdened by hosting many US military facilities on the island, rallied against a plan to relocate a US military base to another site on Okinawa.